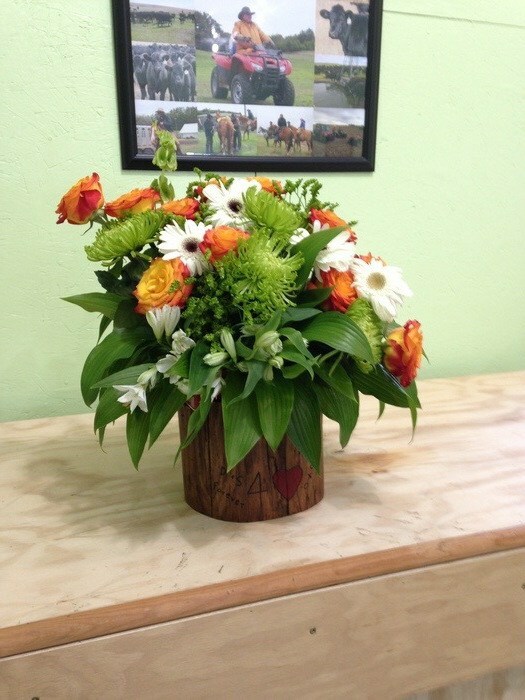 Are you looking for a flower arrangement that has the perfect pop of green? 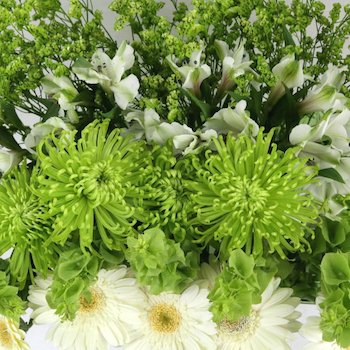 This Monochromatic Green Combo Pack from FiftyFlowers will have your guests green with envy. 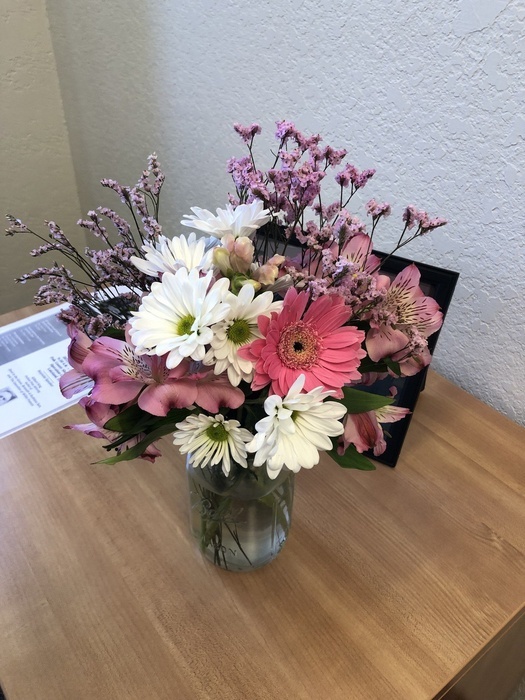 This show stopping Do It Yourself combo pack has: White Alstroemeria, White Gerbera Daisies, Tinted Green Limonium, Green Spider Mums, and Molucella Green Snapdragons. 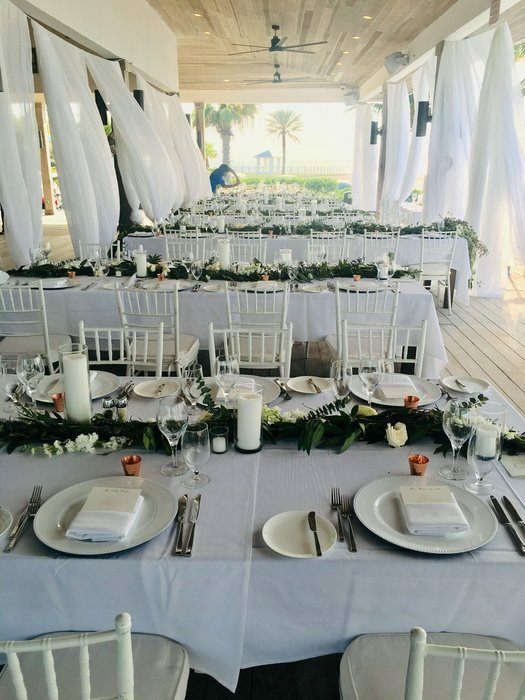 Make sure and add the perfect pop of green to your event and order this DIY combo from FiftyFlowers today. 10 Bunch Box Includes: 2 bunches of White Alstroemeria, 2 bunches of White Gerbera Daisies, 2 bunches of Green Tinted Limonium, 2 Bunches of Green Spider Mums, and 2 bunches of Molucella Green Snapdragons. 18 Bunch Box Includes: 4 bunches of White Alstroemeria, 3 bunches of White Gerbera Daisies, 4 bunches of Green Tinted Limonium, 4 bunches of Green Spider Mums, and 3 bunches Molucella Green Snapdragons. 40 Bunch Box Includes: 8 bunches of White Alstroemeria, 8 bunches of White Gerbera Daisies, 8 bunches of Green Tinted Limonium, 8 bunches of Green Spider Mums, and 8 bunches Molucella Green Snapdragons.